Posting bottles can be a nightmare, but with the right transit packaging, it doesn't have to be. 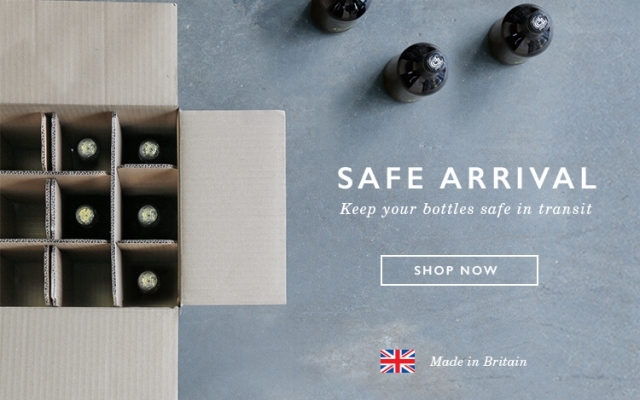 Here's how to send wine bottles as a gift through the post. We say small is beautiful. We say keeping it local is best. We say with a little bit of careful planning, independent food and drink retailers can use gifting to play the giants at their own game this Christmas. We’re not just talking about staying afloat, we’re talking about offering your customers a quality service and beautiful Christmas hampers and Christmas gift packaging that increase the perceived value of your products and put profit back in your pocket. Here are WBC’s TOP 10 profit generators for local retailers this Christmas, with links to our best-sellers, opening hours and last order dates. Our recent ‘Cool Britannia’ blog revealed some of the designs my team and I have been working on for 2012. It’s been a really fun project looking toward next year, considering trends, and crafting designs for what is sure to be a historical time for the UK. I’ll write again in the early part of next year to give you further heads up on design trends, but for now, one that we predicted to be big in 2012 has in fact become popular this year. Let me introduce a new addition to our line of finishing touches – Hamper Sashes. Could you do with some Christmas hamper inspiration? Once again we’ve appealed to the Queen of all things merchandise, Arona Khan to lend us some top tip thoughts and a complete breakdown on how she puts together this Very Berry Christmas hamper.